Our collection of award-winning bitters are expertly crafted to bring you only the best in a diversity of flavor profiles. 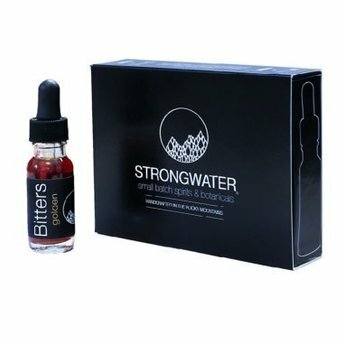 This custom gift box includes 1/2 oz. 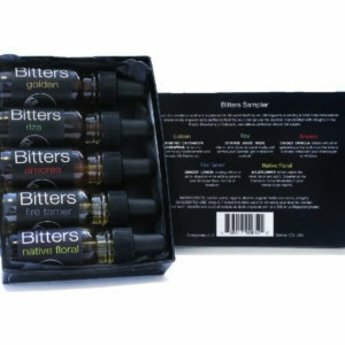 bottles of our Golden "Aromatic Turmeric," Riza "Orange-Licorice," Fire Tamer "Spicy Lemon-Ginger," Amores "Chocolate-Vanilla," and Colorado Native "Mountain Wildflower Bitters." Find cocktail inspiration for all five at sipstrongwater.com.